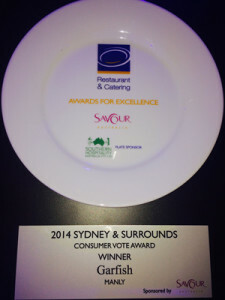 We’re very proud and excited to announce that Garfish Manly has won the Consumer Vote Award in the 2014 Savour Australia Restaurant & Catering Awards for Excellence. The awards event took place at Doltone House on Darling Island Wharf on Monday night to toast the best of Sydney’s restaurant and catering industry. 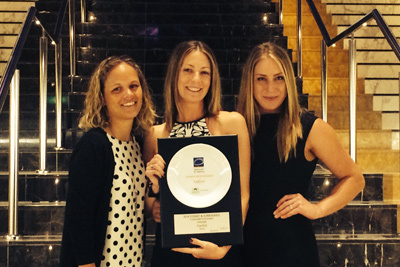 Manly restaurant manager Louise Edney was on hand to receive the award along with Kristen Hooper and Steph Hanson on behalf of the Garfish Manly team.